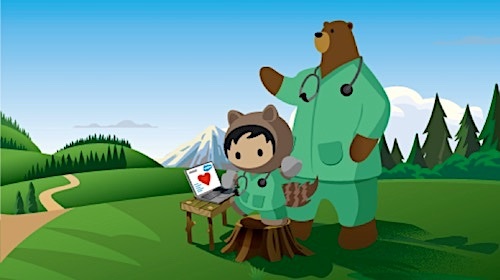 Forrester TEI Study Confirms Buying a Community Solution from Salesforce Is More Valuable Than Custom-Building—What this means for commerce. Many B2B businesses have turned to Salesforce with an eagerness to adopt software-as-a-service (SaaS) technology. 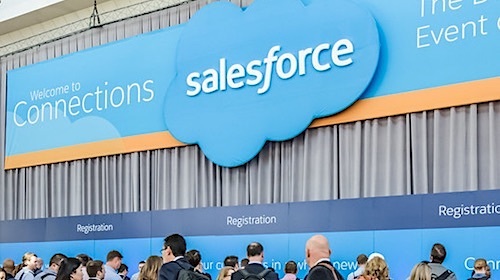 Leveraging Salesforce’s core capabilities affords businesses the scalability they need to grow and evolve over time, and many apps built on the platform and available via the Salesforce AppExchange make it easy for businesses to realize these benefits without custom development. B2B commerce is one example, but before we get into that, let’s dig into some hard data. A recent Forrester-commissioned Total Economic Impact (TEI) study highlights how the purpose-built Salesforce Customer Community brings more value than custom-built community solutions. These same benefits will be realized for organizations that buy a commerce application built natively on Salesforce rather than embark on a custom build. In the case of B2B commerce, these benefits are enhanced because a native Salesforce commerce application like CloudCraze are purpose-built to generate revenue and reduce costs to serve. Flexibility to scale long term: Custom-built systems might seem like an obvious choice for businesses looking to address unique issues. However, these systems are rarely built to scale long term. 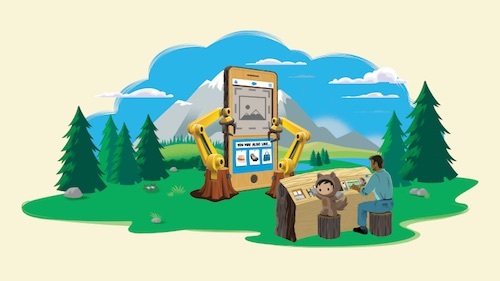 Many applications available to buy from the Salesforce AppExchange are built with the idea that businesses can and should evolve their digital offerings over time to keep pace with customer needs. It’s particularly important that a customer-facing application like B2B commerce is flexible both to scale and address customer experience and feedback. Faster go-to-market time: Most of the organizations surveyed in the Forrester study reported that it was faster to deploy a purchased system than it would have been to build their own. One respondent reported that it only took three months to get her company’s site up and running. These systems are designed to be implemented quickly. Building a system from scratch can take years due to a lack of internal technical skills or domain expertise. This is especially true for complex B2B commerce platforms. Expertise and support: According to the study, organizations that chose to purchase a Customer Community spent less on third-party IT contractors to complete the upfront development work. Most purpose-built systems come with a team of experts to implement, support and maintain your site. Conversely, a custom-built approach requires internal expertise that most companies don’t have. And when you consider the high churn rate of developers at software companies, it’s not a risk worth taking. As a business leader considering Salesforce as a way to power your new commerce system, it makes sense to look to the study conducted by Forrester on the purpose-built Salesforce Customer Community. Many businesses are tempted to custom-build commerce platforms due to the perceived control and customization benefits, but the Forrester study proves that the quantifiable results of buying a platform far outweigh the perceived benefits of a custom build. CloudCraze is the only 100 percent Salesforce-native B2B commerce platform. We’re powered by the same core customer data as Salesforce, enabling you to amplify your Salesforce investment and skills. Learn more about how cloud commerce on Salesforce through CloudCraze can help your business embrace digital today.